Through the years, sports have evolved into many different kinds. In addition to the regular sports that we all know (such as basketball, volleyball, soccer, baseball, etc. ), extreme sports are slowly becoming more and more popular among sports and adventure enthusiasts. Sports enthusiasts try out the latest trends in sports to broaden their experiences as far as sports are concerned. One such extreme sport that is slowly increasing in its number of followers is kitesurfing. Extreme water sports are fun and exhilarating. Kitesurfing is an example of an extreme surface water sport. This extreme water sport is a combination of other water sports such as wavesurfing, windsurfing, wakeboarding, and paragliding. Kiteboarding, as it is alternatively called, is a sport that allows a rider to propel through the water using a surfboard, known as a kiteboard that is similar to the function of a wakeboard. Kitesurfers or kiteboarders utilize kiteboards (with or without foot straps) and large controllable kites to propel themselves across the water. Before engaging into such an extreme water sports, those who are interested to experience kitesurfing should first be educated of the basic techniques of kitesurfing or kiteboarding. Turning is a pertinent technique every kiteboarder should know. Another technique is controlled flying and jumping. Lastly, every kitesurfer should know the different types of board grabs in order to smoothly perform board tricks. One well-known kitesurfing enthusiast is Ruben Lenten. Ruben Lenten is a young kitesurfer born on March 29, 1988. Because of his excellence in performing stunts and tricks with his board and kite, he has been labeled as the Master of Extreme. He is well-known for his enthusiasm in pushing his limits when going kiteboarding. For Ruben, kiteboarding is more fun the higher, the faster, and the more extreme it gets. He has been competing and conquering the kiteboarding scene for quite some time. 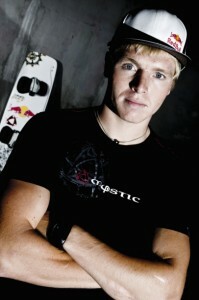 However, he left the international scene in kitesurfing competition. Ruben Lenten has stopped from joining international kitesurfing competitions because he was unsatisfied with the way kitesurfers were being evaluated during such competitions. At a very young age, Lenten is quite unaccepting of the boundaries being set forward for this fast growing extreme water sport. Being dubbed as the Master of Extreme, Lenten continuously pushes his limits as far as kitesurfing is concerned. His ultimate goal is to push his limits and to involve all kitesurfers out there in this endeavor. Together with other young kitesurfers all over the world, Lenten visits different kitesurfing spots and discover new tricks and new styles.